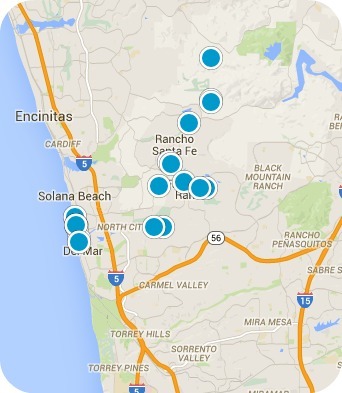 Welcome to the most comprehensive San Diego real estate search you'll find on the internet. We offer the ability to search virtually every home for sale in the San Diego area as well as information for San Diego's North County Coastal communities and neighborhoods that can help guide you in making the right buying or selling decision. Access to the entire inventory of homes for sale in San Diego's North County Coastal region and the entire San Diego area. Daily listing updates; you'll find the newest properties on the market here. Email alerts for new listings and price changes. Accurate, complete, up-to-the minute information. Instant, free, no-obligation home value estimates.